Trading in wallpapers is not the same as it was only a few years ago. 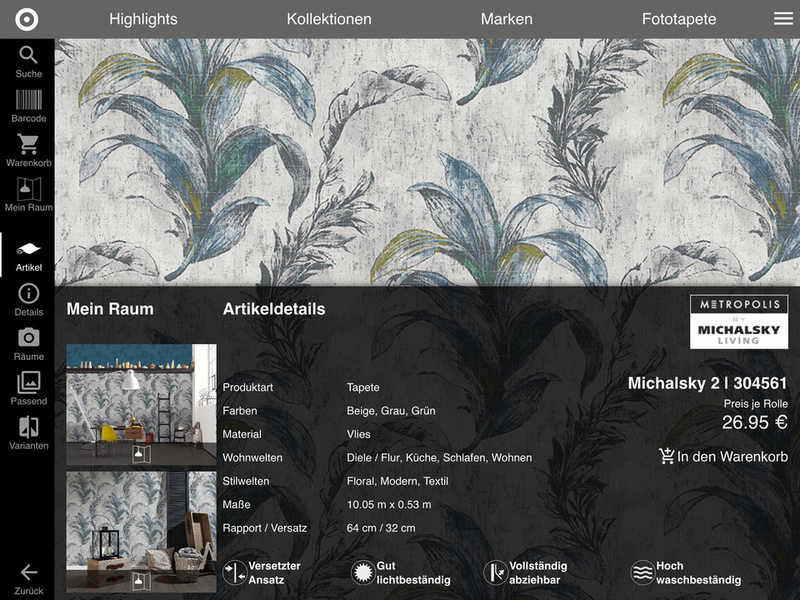 We found out that wallpapers actually present and sell themselves very well online as decorative products. What kind of route do traditional specialist traders need to plot so that they will not get lost in the new market place? Today, it is no longer enough to develop websites for desktop computers. 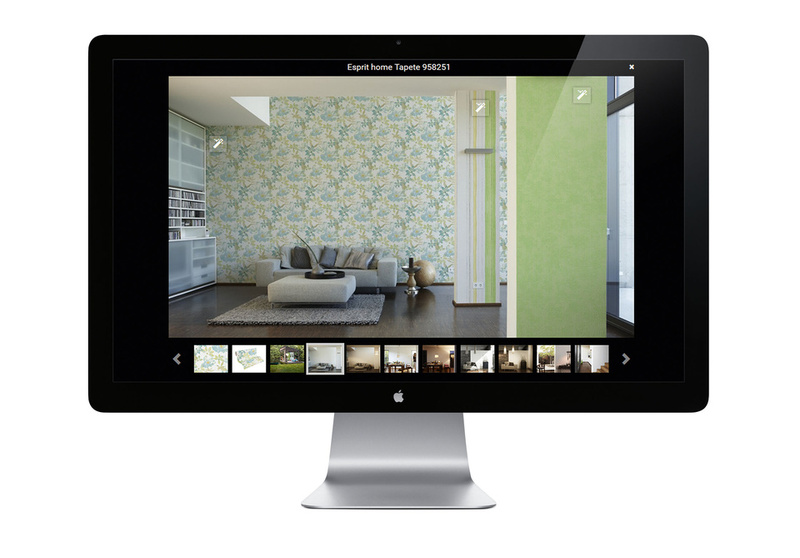 That’s why the online catalogue “New Walls” not only gets a makeover but is also optimised for smartphones and tablets. That way, it can be accessed easily from mobile devices and directs consumers to their target from any device. 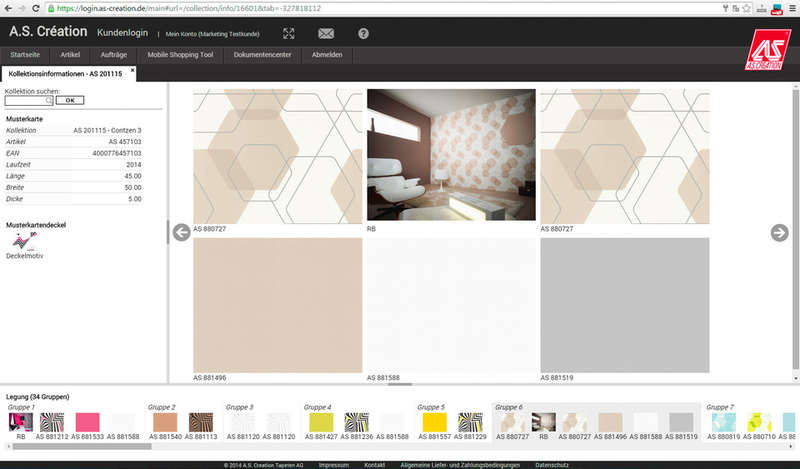 The online product catalogue “New Walls” displays our current range in four languages without price information or purchase options, because it is intended as an online advisory tool for A.S. trade partners. 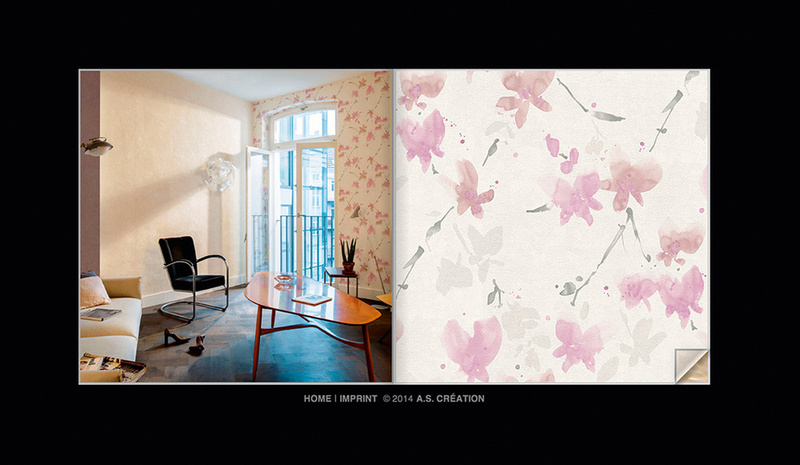 The idea of using different wallpapers for different walls is a completely new concept. 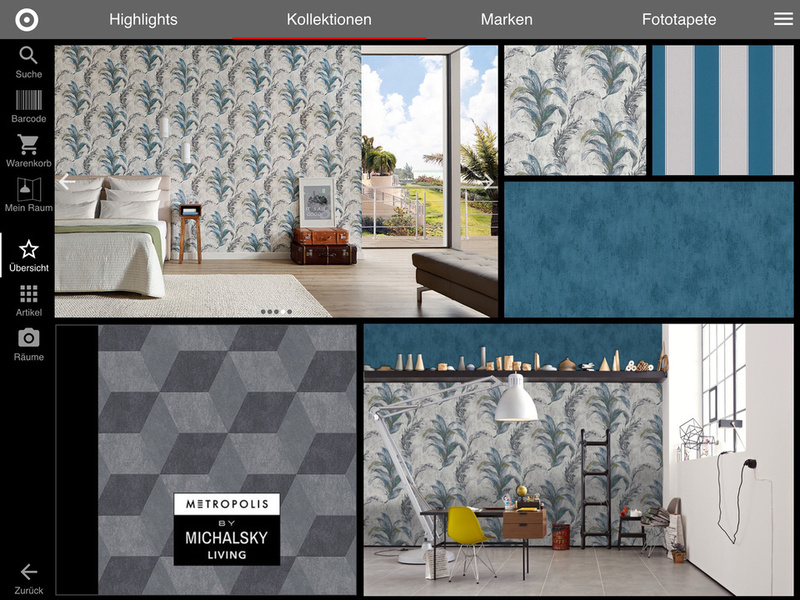 Simply combine your chosen plain colour or stripes with the selected pattern on the wall, or choose another wallpaper from your “Favourites”. Good advice is a vital factor for success when selling any product. 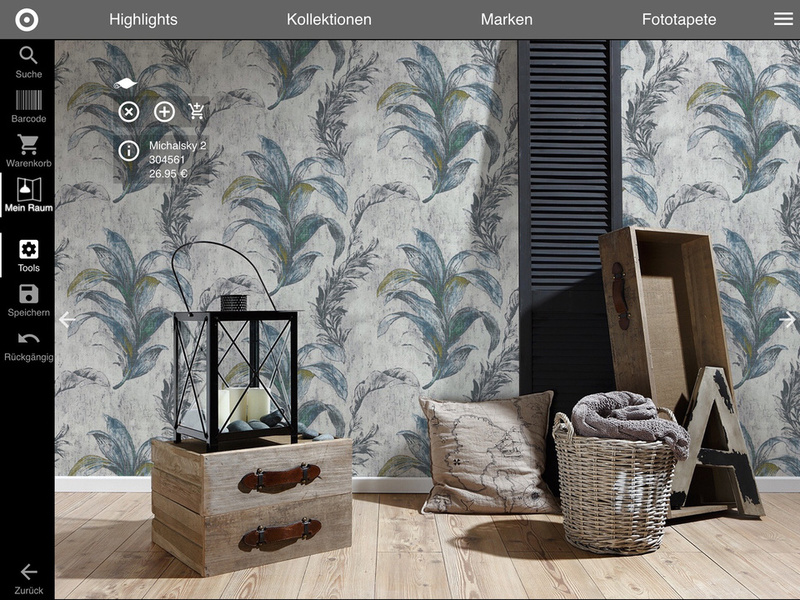 We support this basic sales principle with a variety of advisory options, in particular with the latest version of the wallpaper online shop. Our new app "TBS by A.S. Création" offers you the opportunity to provide competent advice with the help of any standard tablet device. 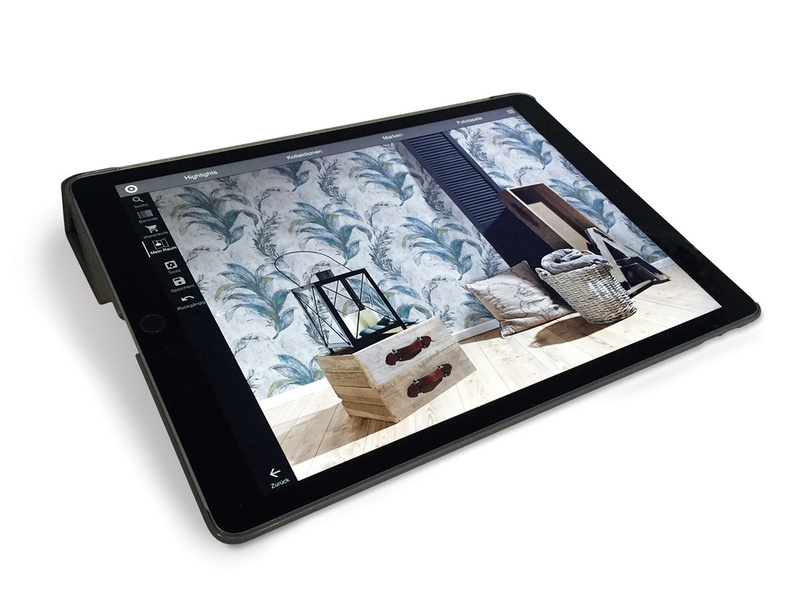 The "TBS by A.S. Création" app is available for all standard iOS and Android tablets. It can be downloaded from the Apple App Store and Google Play Store. For more information please click here here. Fast, optimal support for our clients is close to our heart. Therefore, we have modernised the Client Login. 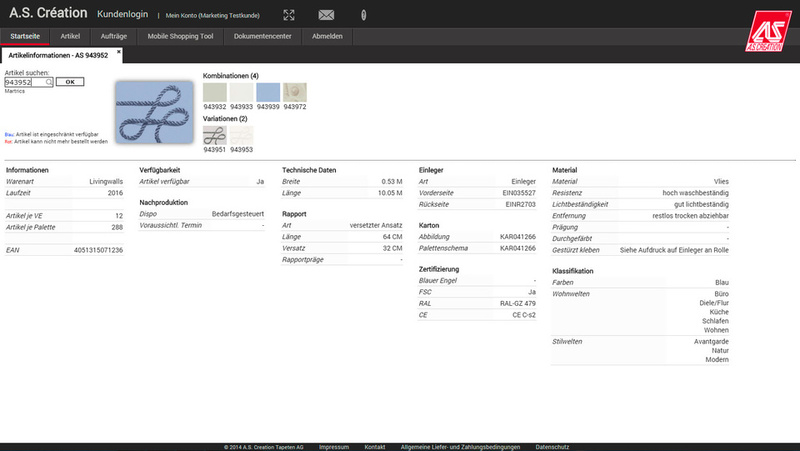 We have upgraded the design and functionality to the latest standard. The Client Login is not only a convenient way to place your order. It now offers you also the opportunity to view all orders placed during the past few months – irrespective of the ordering method. The document centre also enables you to access invoices and delivery notes. All product-related data are accessible via tabs in the article and collection information section. 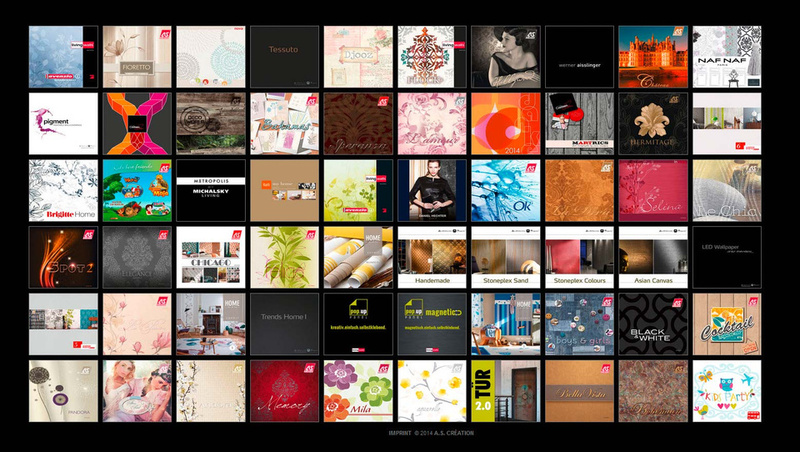 It is also a convenient way to browse through the collections online. 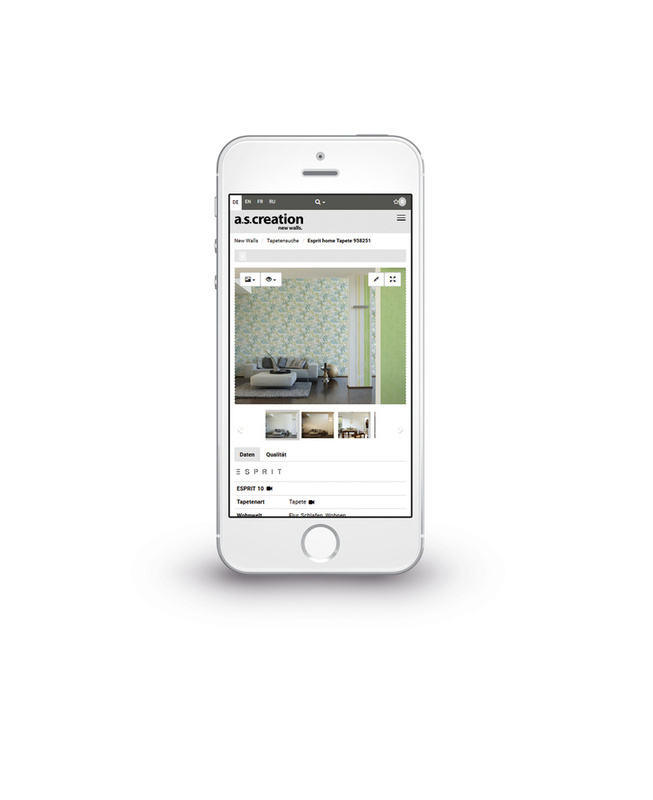 The Mobile Shopping Tool for our clients has been in operation since the summer. Its maintenance is also part of the Client Login. Assortment and pricing is easily created, the relevant QR code generated and downloaded. 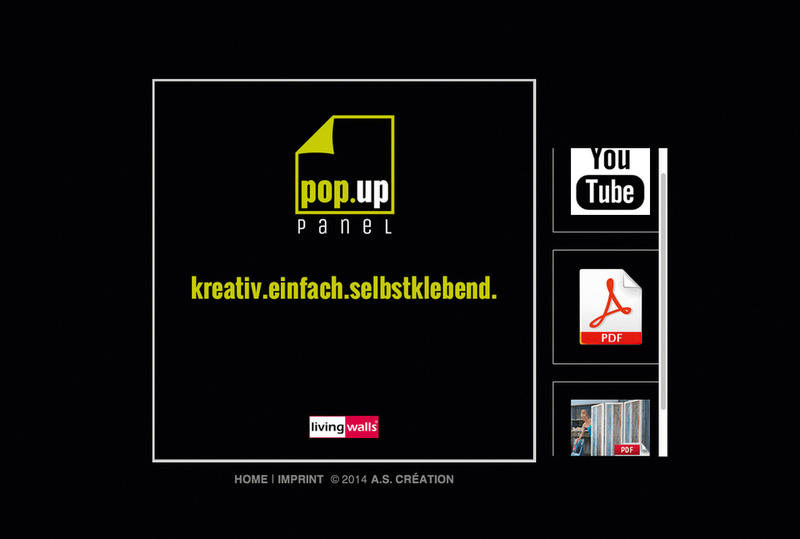 Register online at login.as-creation.de or talk to your sales adviser. 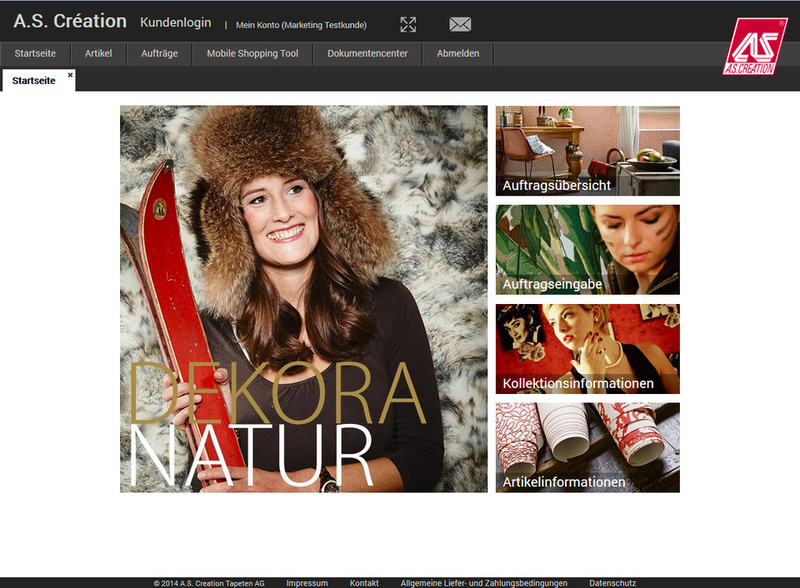 Would you like to browse through our collections online? 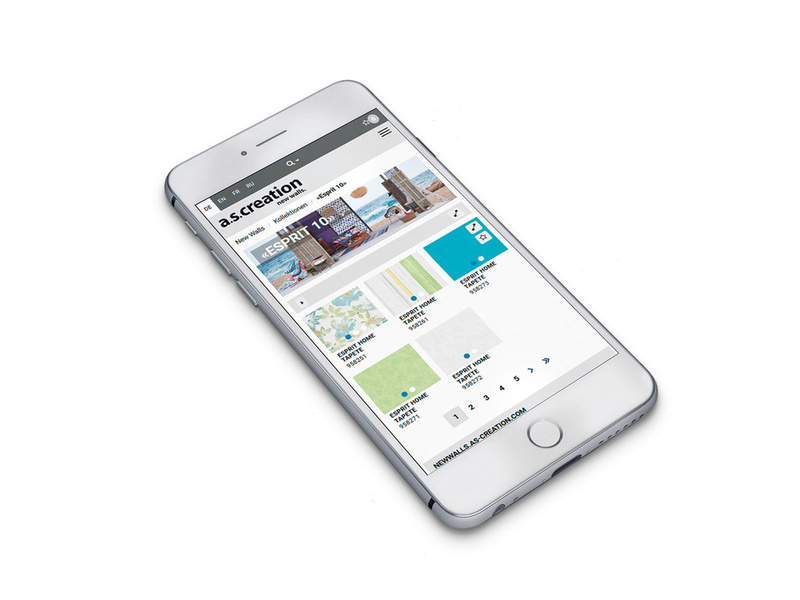 They are optimised for smartphones and allow you, for instance, to directly select a collection to browse through.